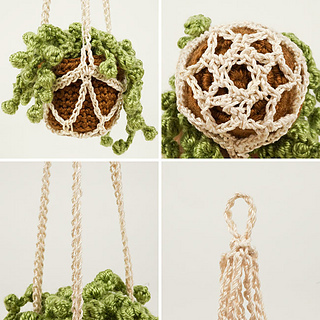 A modern crocheted take on macramé plant hangers, this is a lovely plant hanger designed to fit small (approx 2” diameter) plant pots. 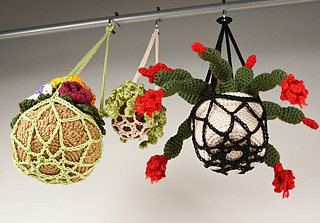 Looking for the crochet patterns for any of the potted plants pictured in these hangers? 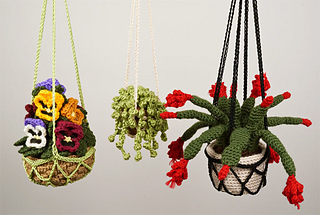 The plants aren’t included in this pattern, but you’ll find them all - and more - in the Potted Plants section of the PlanetJune shop. 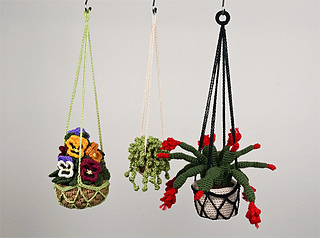 The complete small plant hanger pattern is available to view in full (for no charge) from the linked page.